UGS Aerial Imagery Collection, scroll to the left (west) and click on the dots. hotrodonline.com, Respected journalist John Gunnell. 1961 Letter to Secretary Udall discussing the deteriorating Bonneville Salt Flats. 1991 Salt Lay Down Feasibility proposal. Note this is marked confidential, it no longer is. Interesting old aerials of bonneville, 1946, 1952, etc. Go the map and scroll out to the west, click on the blue dots. Koch Brothers invest in Intrepid Potash. Scientific American article on the Bonneville Salt Flats. Article published in Landscape Journal, Bonneville. SOLAR EVAPORATION OF POTASH FROM THE BRINES OF THE BSF, 1980. STUDY OF THE POTENTIAL SALT IN PONDS 4N, 4S AND 5 BY GREG PEEK. 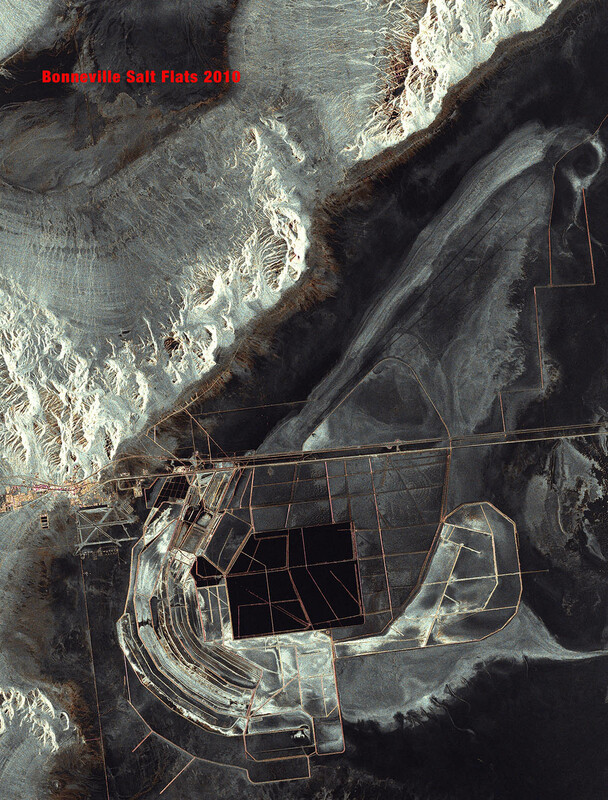 THIS INDEPENDENT STUDY IS CONSISTENT WITH THE DOCUMENTED SALT LEVELS PRINTED IN INTREPID MINING'S RECLAMATION PLAN APPROVED IN 2008 OF 116 MILLON TONS.